convinced me that these are natural, wholesome fruits." 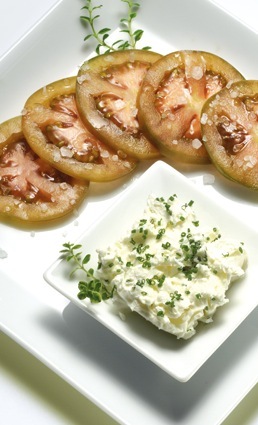 "Kumato® tomatoes are magnificent. Incredibly tasty, they are juicy and firm at the same time! They are more expensive, but well worth the extra expense." “I no longer buy normal tomatoes. How could I go back to eating insipid tomatoes?" "We have a vegetable farm in the north. Having tried Kumato® tomatoes, we are seriously thinking about abandoning the cultivation of standard tomatoes. We would be grateful if you would send us some seeds of this tomato. We are prepared to pay whatever you ask!"